Sherman Oaks Homes for Sale. Matt Epstein has 25+ Years Real Estate Experience in the San Fernando Valley. Call Matt Today to Find Your Dream Home. Matt Epstein has 25+ years experience selling homes in Sherman Oaks and the surrounding neighborhoods. He is ranked among Berkshire Hathaway top 1% of real estate agents nationwide. When it comes to buying a home in Sherman Oaks, Matt Epstein will help you find your dream home. Thank you! We'll be in touch shortly. If you'd like to contact Matt Epstein directly please call (818) 789-7408. When it comes to selling your home, Matt Epstein is one of the best Sherman Oaks has to offer. Every month Matt writes for the Studio City & Sherman Oaks News about Real Estate Trends, Best Practices and Getting the Most out of your real estate experience. It's no wonder Matt Epstein is the top realtor in the Sherman Oaks area. This classic 4 bedroom, 4.5 bath Sherman Oaks hills traditional home offers the perfect combination of seclusion, security, and location. The spacious living room has vaulted ceilings and opens onto a serene patio with amazing views. Located on a cul-de-sac street, south of the Blvd with quick access to the Westside sits this beautiful 2-story traditional. Enter through the double doors into an open floor plan with four bedrooms and two ¾ bathrooms. Breathtaking estate view home located in the hills of Sherman Oaks with beautiful mountain, valley and city light views. 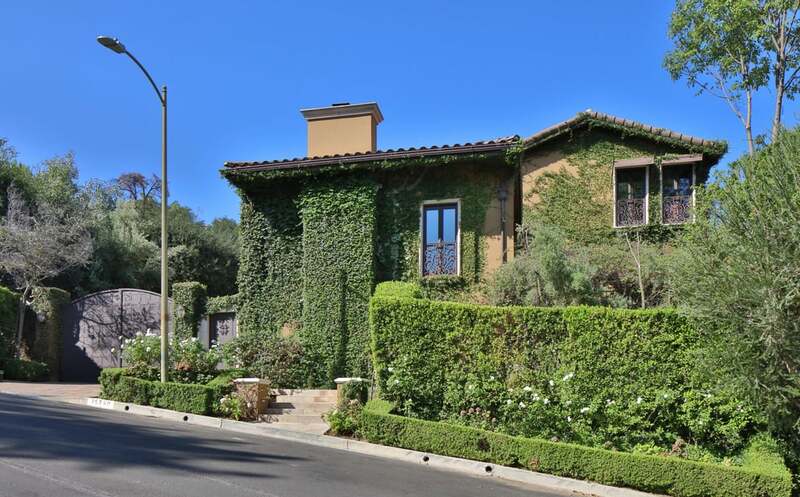 It's close to Ventura boulevards shops, restaurants, entertainment, Coldwater Canyon, Beverly Glen and freeway access. This spectacular 5 bedroom/5bath home with over 5,000 square feet of living space at the end of a cul de sac offers tremendous privacy yet is convenient to restaurants and stores all at the same time. Stunning contemporary new construction located south of Ventura Blvd, in Sherman Oaks. This home offers five bedrooms, five-and-a-half bathrooms with more than 5,700 square feet of open luxurious living space. Upon entering one can immediately feel the enormous scope and design of this spectacular bright sun filled contemporary home. Situated on over 7,000 square feet, this remodeled single family residence is fantastically located on a quiet neighborhood street, just steps to all the great restaurants on Ventura Boulevard. Enter through the solid wood front door into the large great room, featuring dark hardwood floors and gas fireplace. A downslope lot on a quiet cul-de-sac in prime Sherman Oaks hills, south of blvd. Next door to million-dollar-plus house (with pool) by noted architect Charles Moore. This lot virtually identical in slope/terrain. The last lot bordering new Nature Conservancy park: walking trails, red-tail hawks overhead. Modern, chic, edgy, south of the blvd new construction home that hits all the marks. Located in this desired Sherman Oaks neighborhood & close to fine dining, shopping & entertainment.